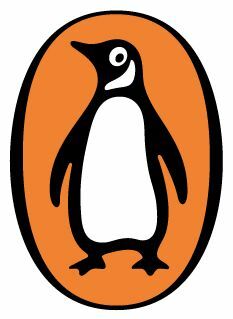 Some Penguin Classics defy precedent, for good or ill, and it’s surely a good thing occasionally to see a new Penguin Classic in a big dust-jacketed hardcover edition instead of the customary black-and-white paperback. The wonderful Clothbound Classics line, for instance, presents such gems as War and Peace and Pride and Prejudice in rock-solid hand-sized bricks with sewn bindings and sewn-in bookmarks and are not to be missed by devoted collectors. Less visually distinctive but correspondingly in a way more arresting is the new Penguin Book of Japanese Short Stories, which arrives in bookstores as ... an ordinary hardcover, indistinguishable from all others until the “Penguin Classics” legend is hunted out on the spine. What follows is a stiff march through the timber outlines of the lives of the writers included here, and it serves mostly to raise a wail of a question: has it really come to this? Murakami is certainly the world’s most revered living Japanese author, but surely the front foyer of a new Penguin anthology is real estate too valuable to turn over to watching a frequent Nobel shortlister reading Wikipedia? There’s the commercial value of name-recognition, granted, but even so: a scholar of contemporary Japanese fiction might have been a bit more nimble for the occasion. Most nationally defined literary anthologies are arranged chronologically, perhaps on the assumption that they will be read primarily in college courses, where the anthology is meant to comprise a pocket history of the nation’s literature over a predetermined period. This book is designed more for general readers who are looking for a good read when they open the book and don’t care much how Japanese literature may have developed in the period covered, which in this case can be loosely termed the modern period. There’s a vague but umissable sticky equivocation hovering in the background of lines like these, a dodgy assumption that college students are being fed pedantic, uninterestingly chronological order whereas general readers are looking for an uncritical good time. Instead of arranging his anthology’s contents chronologically, Rubin has arranged them thematically, grouping stories under headings like “Japan and the West,” “Disasters, Natural and Man-Made,” and “Modern Life and Other Nonsense,” the intent presumably being to showcase how different writers react to similar kinds of real-world events. And this yields interesting results: reading about the Great Kanto earthquake of 1923 in the same section as a story on the Fukushima nuclear disaster is mind-openingly jarring, and such juxtapositions happen all throughout the book. But by arranging his material this way, Rubin ignores an important factor he knows all about: Japanese authors don’t just react to real-world events ... they also react, and always have reacted, to other Japanese authors. Students reading those boring old chronological surveys can’t help but see this, and good-time readers of this anthology can’t help but miss it. Missing also are some fairly towering names. Writers of the caliber of Shusaku Endo, Kobo Abe, Kenzaburo Oe and Naoya Shiga are nowhere to be found here, and either of the possible reasons for that (insufficient solar plexus-knotting or to make room for those two Haruki Murakami stories) is unappealing. But maybe all these unconventional choices are part of the package of an anthology like this, a full-sized original hardcover appearing in the Penguin Classics line to shake things up and provide an adventurous alternative to the many Japanese short story collections that have preceded it. Readers ready for such an adventure will find it here.